21 Miles! That’s the total length of the Peace Walls in Northern Ireland. Sometimes called Peace Lines, Peace Walls or Desisive Lines, they help to keep the peace between the two sides of the divide. Well most of the time! The walls replace the barricades, first erected in 1969 by both sides of the community to help depend their community from attack and and also to mark their territory. The loyalist side would erect Union Jack flags and the Nationalists would erect the Irish Tri Colour. When the army moved in later that year the make shift barricades would have been removed and replaced with corrugated iron, 8 -10 freet tall. Some would have had doors that would have been locked at night by the security forces or members of the community. Some remained close permanently, never to reopen again. Today we have moved on, or backwards and we have massive concrete walls reinforced with steel. Some of these are as high as 25 feet and they attract many tourist and public figures. 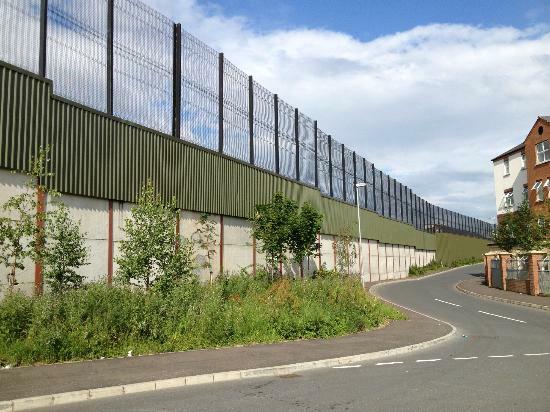 The Cupar Way wall divides the Shankill from the Falls and Springfield Roads in West Belfast. This wall contains in the region of 3 million signatures form visitors from all over the World. So when will the walls come down? or will the ever come down? 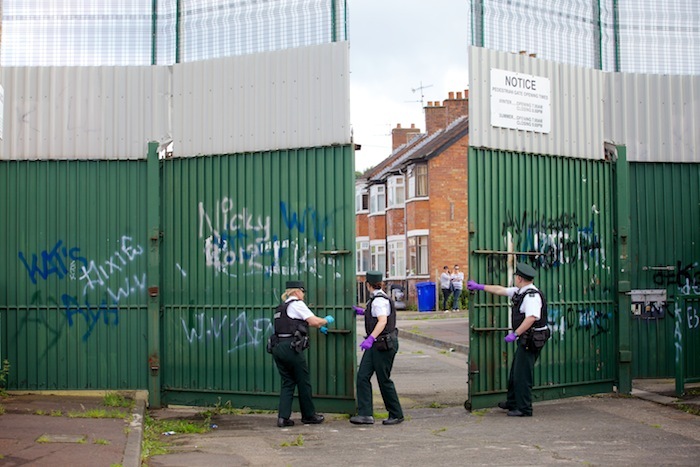 The Northern ireland executive are commited to remove all the walls by mutual consent by 2023. Of course it would be great if this could happen and that we all could finally meet our close neighbors. In some cases, these neighbours live less than the height of the wall that separated them from one another, but who they have never met nor spoken too. It should be of course up to the people on both sides of the walls to agree to any removal and not the elected representatives who dont live in close proximity to the wall to decide.